The summer is winding down and school will be in session soon. School shopping is just about done and you want to spend one last weekend of the summer with the kids, what do you do? If you are looking for a nice relaxing quiet spot on one of Florida’s beaches you should take the family on a trip to Ormond Beach. Just north of Daytona Beach along Florida’s Atlantic Coast, Ormond Beach offers a first-class resort experience without sacrificing its small-town grace. One of the best spots to stay in Ormond Beach is The Cove On Ormond Beach. What used to be Ormond Beach’s best kept secret is no longer a secret at all. In fact, you would be lucky to get a reservation, as they book months in advance. 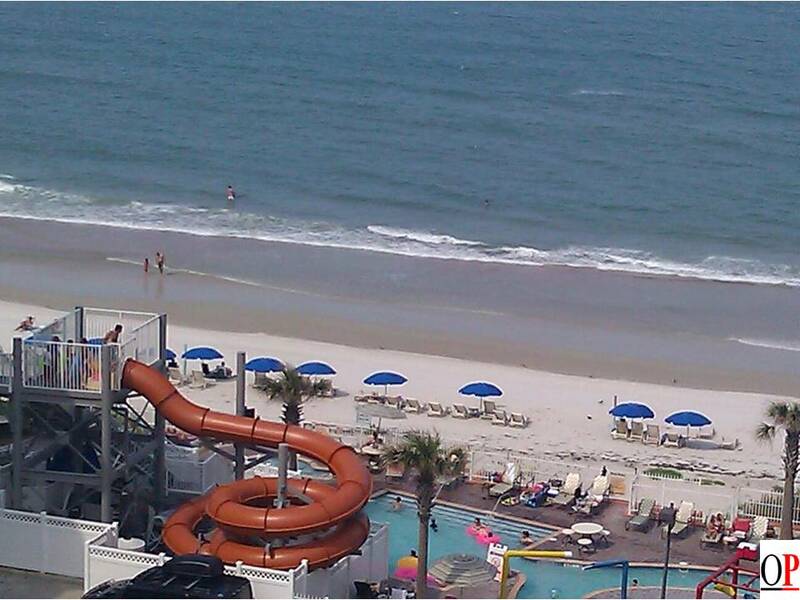 The Cove On Ormond Beach is the perfect beachfront getaway! Located directly on the beach, The Cove On Ormond Beach includes a story tube slide with lazy river, an indoor pool, exercise room and it is near restaurants, golf courses, and shopping. It is the perfect family getaway with a very child friendly atmosphere. We searched out to find the best deal for a stay at The Cove On Ormond Beach, and after 10 to 15 websites we found it at Poshprice.com. The Cove On Ormond Beach does require a three night minimum stay, however, you do get discounts for longer stays and Poshprice.com offers mail-in-rebates starting at a three night stay. We were fortunate enough to book a stay and the price was a steal for the amenities that were offered. With a private master bedroom, pullout for the kids, full kitchen, and laundry; how could you go wrong? If you have not stayed at The Cove On Ormond Beach, it should be a must on your to do list. Away from Daytona but still on the beach it is very peaceful and relaxing. Give it a try, your kids will thank you.